Winter home decorating with knitted furniture and decor items feel cozy and warm. Knitted furniture upholstery fabrics, throws and pillows, floor rugs and storage baskets, vases and even tableware with knitted details are modern interior trends 2013 that celebrate unique handmade designs and creative home decorating ideas. Modern interior decorating with knitted floor rugs and furniture, home decorations and functional decor accessories, like wall clocks and vases look unusual and stylish. 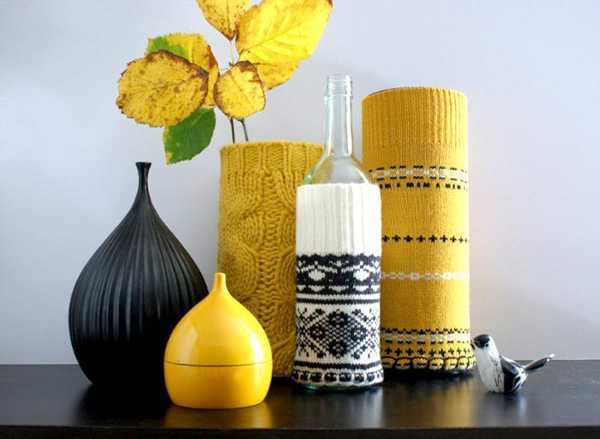 If you like to knit, then these trends in home decorating are perfect for you. 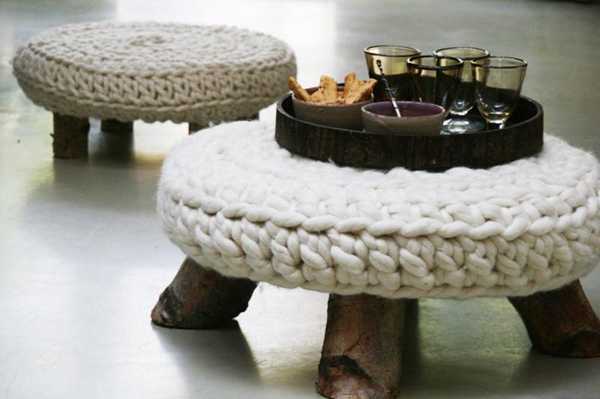 Knitted furniture and decor accessories add coziness, warmth and beauty to modern interior design and decorating. Made of neutral natural colors, they suit any interior design and decor style and create a universally appealing look. Colorful and bold kitted furniture and decor accessories in unusual shapes make original centerpieces, bringing stylish decoration patterns and color combinations into modern homes. Modern interior design and decorating with knitted lamp shades or covers for plant containers, decorative pillows or ottomans turn home interiors into very inviting rooms. Knitted fabrics are perfect for winter home decorating. 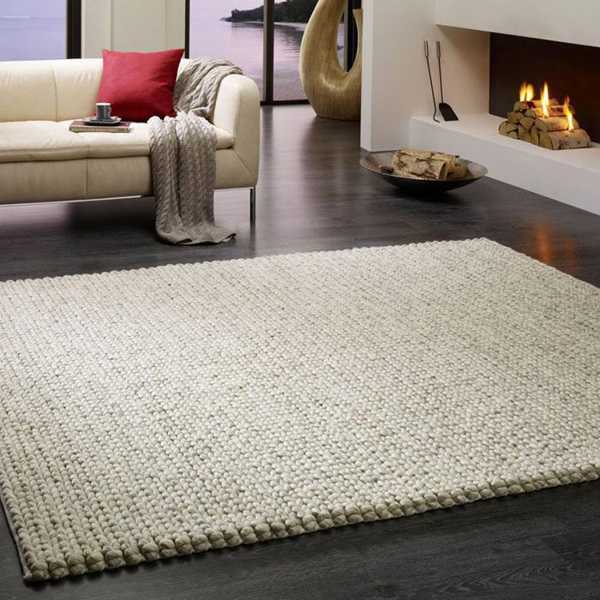 Knitted floor rugs and furniture, home decorations and functional decor accessories, like wall clocks and vases look wonderful with wood and plastic, concrete and ceramic, softening and enhancing modern interior design and decorating ideas and creating cozy retreats in winter.